September 28, 2015. My father would have celebrated his 70th birthday today. This is a piece I wrote earlier this year to help cope with the impending anniversary of his passing. Although no words could ever really bring a man like him to life, taking the time to remember him in writing, especially the humorous memories I have of him, has proven very therapeutic. 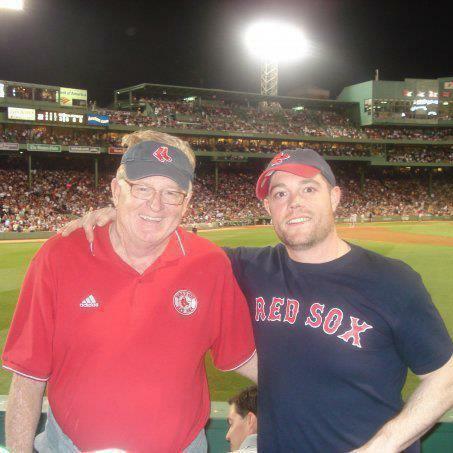 When I wake up tomorrow, Sunday, February 2, 2014, it will mark the third anniversary of the day my dad, quite simply, just didn’t wake up. While that realization is somewhat debilitating, I’ve come a long way since that morning three years ago when I got the news that my dad had died in his sleep. When I think about my father, the flood of memories that rushes over me is overwhelming. Naturally, some of those memories are more “unique” than others. For example, my dad never met a smelt he didn’t like. On any given weekend, whether my family was eating at Governor’s Restaurant or Geaghan’s Pub, you could hear him ordering fried smelts and (and I quote) a baked “bodado”. He never pronounced the word potato correctly by actually using the letters P or T. Never. I mean it. Not even once did I ever hear that man say the actual word potato. Although he was born and raised in Orono, or as he would say, Ono (he also often left the letter R out of his words) he had a pretty thick Maine accent. Dad was not a very complicated man and it didn’t take much to make him happy. 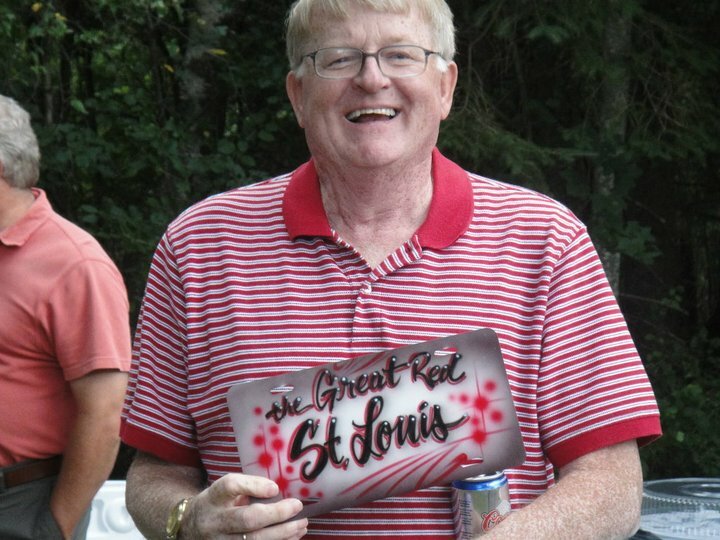 He loved it when I’d get emotional talking about the fact that he and his three brothers, along with their parents, lived most of their lives in a tiny apartment above the bowling alley in Orono without two pennies to rub together. He was proud of the fact (as well he should have been) that his real name, Lawrence, was given to him because his father, who worked in mills all his life, had a soft spot for a certain mill that he’d worked at in Lawrence, MA. And finally, he loved how curious I always was about the fact that he devoted his life to selling cash registers and never once put his degree in Physical Education to use. In his words, he had to do what made him happy. It’s true. There’s never been anyone quite like my father. It was the small things in life that made him truly happy. The Red Sox (of course), fiddleheads in the spring, sitting on the front porch of our home decked out in his coffee stained undershirt, plaid shorts and Dr. Scholl’s velcro sneakers (he had a passion for velcro sneakers the likes of which this world has never seen) and doing his best to strike up conversation with the participants in the annual Bangor 5 Mile Labor Day Race. Those were some of the highlights of his year. The day of Dad’s funeral, my brother and I spoke about our father. The only way either one of us could survive that day was to remember the funny experiences we’d shared with him over the years. We talked about his love of sports and especially the basketball tournaments, and the fact that he always added an S to the name of every major department store…Wal-Marts, K-Marts, and when he could remember the actual name, Targets. For the first three years the store was open, he called Target “Gadgets”. One day he was beyond thrilled at having said the name of the store correctly. I could tell he was proud when he really emphasized the store name as he declared that he and Mom had just returned from “Budgets”. I never did have the heart to tell him that he was close, but no cigar. When I returned to my hometown after college, and after teaching for three years in a town about an hour away, I got to spend a lot of time with my parents. It was during that time that I learned things about them that I never took the time to notice when I was growing up. For example, by interacting with my parents as an adult, I came to understand how in love they were with each other. When you’re a child you don’t notice things like that, but when you’re an adult, you do, and it means the whole world. My father loved my mother unabashedly. Perhaps the most surprising fact that I came to understand about my dad was that he was truly fascinated with space and the whole concept of extra terrestrials. Like most other people, I remember him taking me to see “Close Encounters of the Third Kind” and he always had a real passion for the X-Files (though I’m pretty sure that had a lot to do with the attractive red head who played Scully). Either way, the time that I spent with my parents when I returned to Bangor provided me with some of the best memories in the world. When Dad first saw the trailer for “Signs”, a movie about an alien invasion starring Mel Gibson, he literally called me up and left a three minute message about how excited he was to see it. It was released right after I returned from my honeymoon and going to the movie was one of the first things that my husband and I did with my parents when we got back from our cruise. I remember the four of us piling into the seats of the cinema. Mom ended up on one end with my husband next to her and then I sat between him and Dad who, because he had such long legs, always needed an aisle seat. It’s been over a decade since the film was released, so I’m not too worried about spoiling it for anyone as I describe how the events of that movie going experience unfolded. 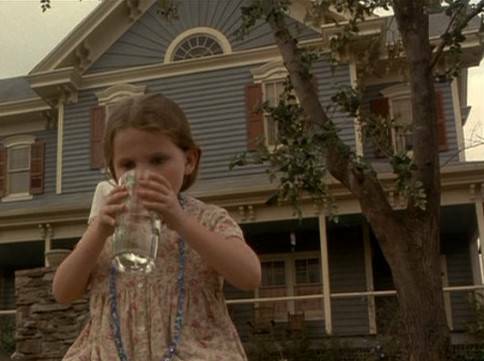 Throughout the film, the girl who played Mel Gibson’s daughter was constantly drinking water and leaving glasses around the house because she didn’t like the taste of it. It was a source of annoyance for poor Mel, but since he was a single dad trying to keep his children calm and safe, while at the same time having to deal with the crop circles that kept appearing on his farmland, it seemed a pretty minor infraction. Having said that, it didn’t take a rocket scientist to figure out that the water was somehow going to be important later on. As the movie neared its end, and the aliens inevitably made their way into Gibson’s farm, there was one thrilling moment when audience members made the realization that the water was going to be the ticket to the aliens’ demise. Now…did it come right out and say that? No. Did the words THE WATER WILL KILL THE ALIENS scroll across the bottom of the screen to let viewers know what was coming? Certainly not. Did speech bubbles appear above the on-screen characters’ heads that read, “Hey, I think the water will kill the aliens!” Nope. But you know what? The audience was given several clues that allowed them to infer that the water was the key. Every single person in that theater picked up on those clues except for my poor father. It was a lie, but sometimes you have to choose your battles. Feeling utterly helpless, I turned to my husband, who, and I hate to keep filling this memory with cliches, looked exactly like a deer in headlights, and said, “Welcome to the family.” Honestly, what else could I say? There’s not a single day that passes that I’m not overcome, at least once, by heartache from all that we lost the day my dad passed away. And when I say “we” I mean our family, his close friends, the people whose lives he touched through his love of sports and refereeing, and all the people who got to know him on his sales routes all over the state. He touched the lives of every single person that he met through his kindness, his positive outlook on just about everything, and his great sense of humor. Smelts made him happy. He loved baked bodadoes. The words don’t exist that can accurately describe the love he had for Dr. Scholl’s velcro sneakers. He didn’t often pronounce words exactly the way they were supposed to be pronounced and he made up fictional store names and swore to God they were real. No, Dad. It’s Big Lots OR Best Buy. There has never been a store in the area that goes by the name of “Big Deals”. There just hasn’t. He was all of those things and so very much more, but most importantly, he was my father and I worshipped him. I’ll never be exactly the same person that I was before he died. How could I be? But I’m the person I am today because that man walked this earth.